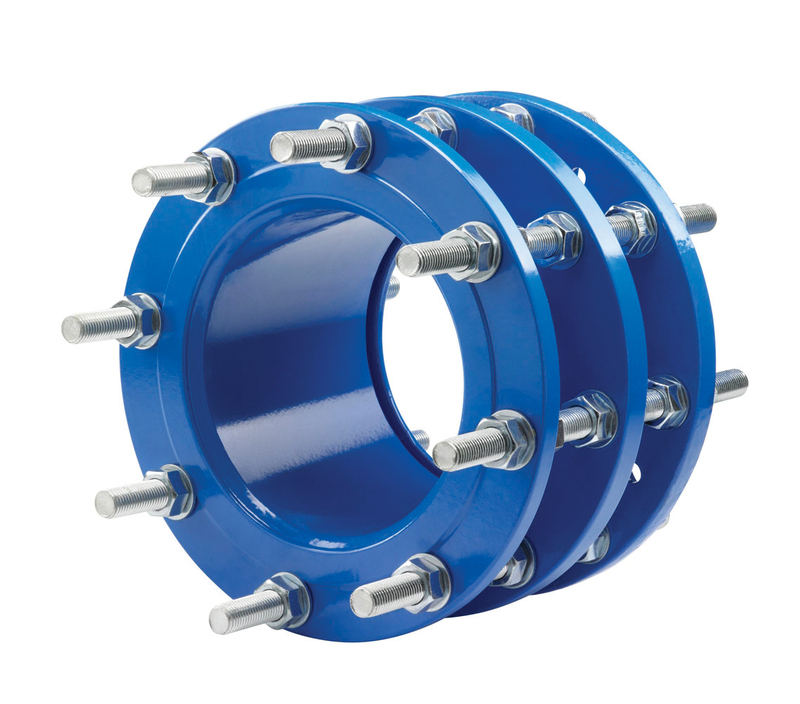 The Hegawa Flanged restrained dismantling joints are double flanged fittings that allow longitudinal adjustment in flanged pipe systems. They have been developed to provide greater flexibility at the planning and installation stages of flanged pipe systems and also for subsequent maintenance. 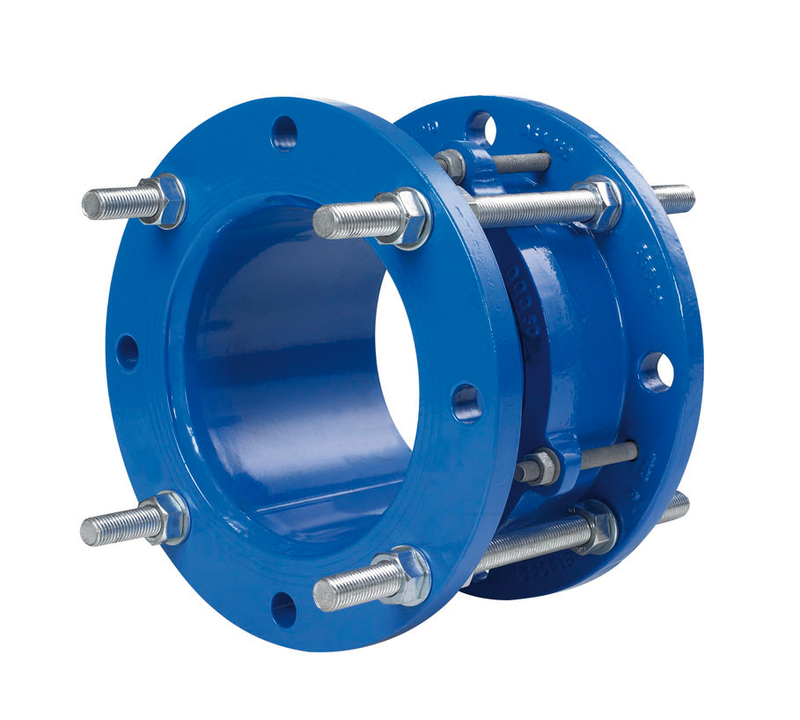 The Hegawa Flanged restrained dismantling joints are particularly suitable for simplifying the installation and removal of all kind of valves, pumps and flanged pipes and fittings. Typical applications include pumping stations, water treatment works, sewage treatment works, plant rooms, meter chambers, power generation equipment and gas distribution stations. Available from DN 50 mm up to including DN 1600 mm. Flanges can be drilled to suit various international standards like ISO, DIN, BS and ANSI for pressure classes PN 10, PN 16, PN 25 and PN 40. Fusion bounded epoxy coating, thickness approx. 200 microns. Other coatings such as hot dipped galvanised, transit coating or other epoxy coatings are available on request. Tie bars and nuts are made of steel BS970:Part1:1983 Grade 070 and are hot dip galvanized to BS729. Stainless steel tie bars and nuts are available on request.